Landfolio® software is a leading land management software suite that automates and integrates all key elements of land administration management. Built on the ESRI® platform and other industry leading databases, this completely configurable software suite is easily localized and integrates your key land management workflows — from registry and cadastre to natural resources management. Formerly known as FlexiCadastre, Landfolio software for natural resources facilitates all aspects of the application, evaluation, granting and compliance monitoring of mineral, surface and water rights, and their related legal agreements. 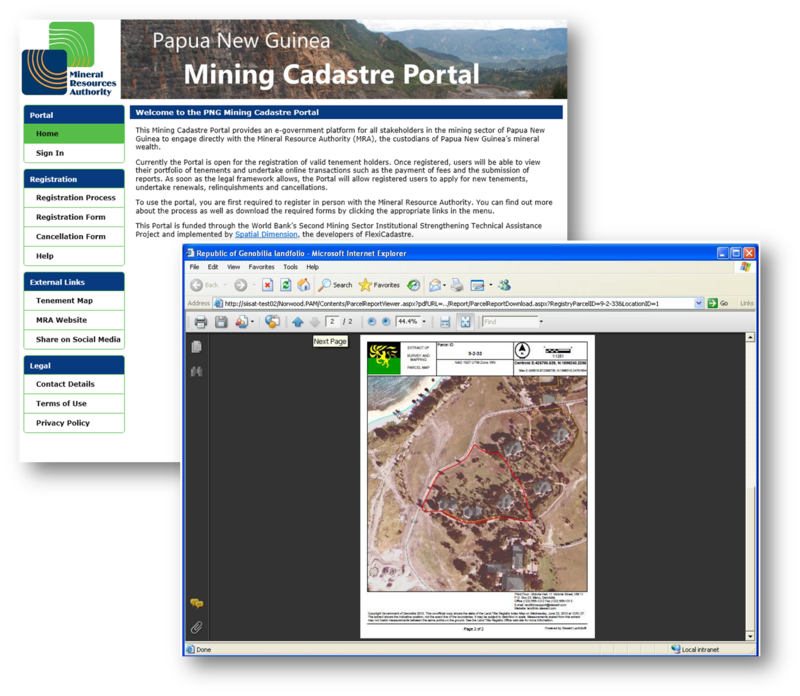 •	Advanced GIS component enables map visualization, selection and validation of coordinates, restricted areas, etc. The basis for property boundary identification, ownership determination and transfer is the parcel map. State-of-the-art technology has evolved from the combined art and science of cadastral maps, sometimes created centuries earlier, to the digital parcel maps produced from today’s property information management systems. Integration of parcel map and ownership records through geographic indexing enables more timely, accurate and informed decision making. 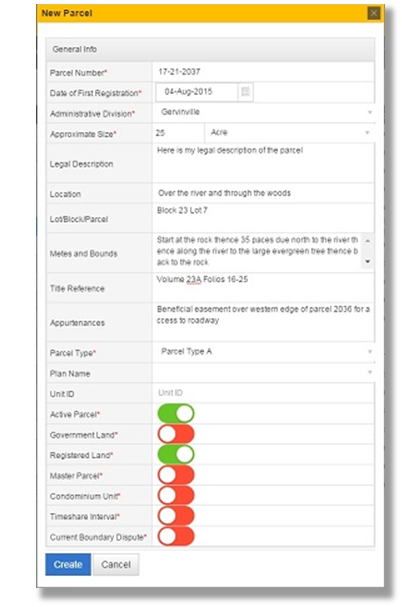 Landfolio provides a unified and standardized project management workflow throughout the parcel subdivision process. User friendly “Parcel Wizards” guide the inexperienced user through parcel management activities that include splitting, amalgamating, subdividing, creating and adjusting parcel boundaries. A public land registry is responsible for recording, indexing and archiving large volumes of land records and transactions for sellers, buyers, owners and lenders. 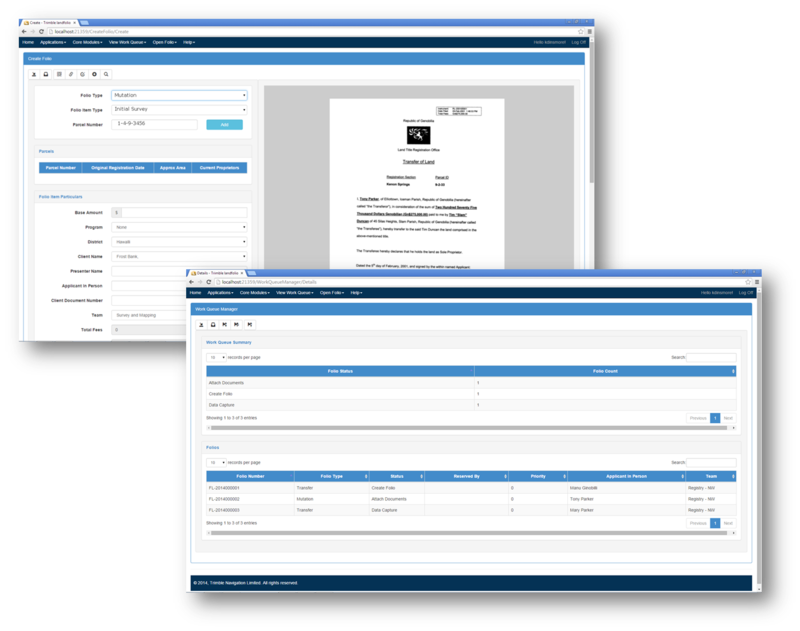 The registry component of Landfolio provides a full registry automation solution so you can retain complete, official, and historical records of ownership and encumbrance transactions for parcels. A key component of revenue generation for government is the valuation of property. Trimble’s property valuation tool allows government users to receive and process valuations, and to update registers based on these valuations. Using Landfolio, the user is able to integrate a government’s existing land valuation information into the database including such elements as market value, sale price, taxable market value and tax category. 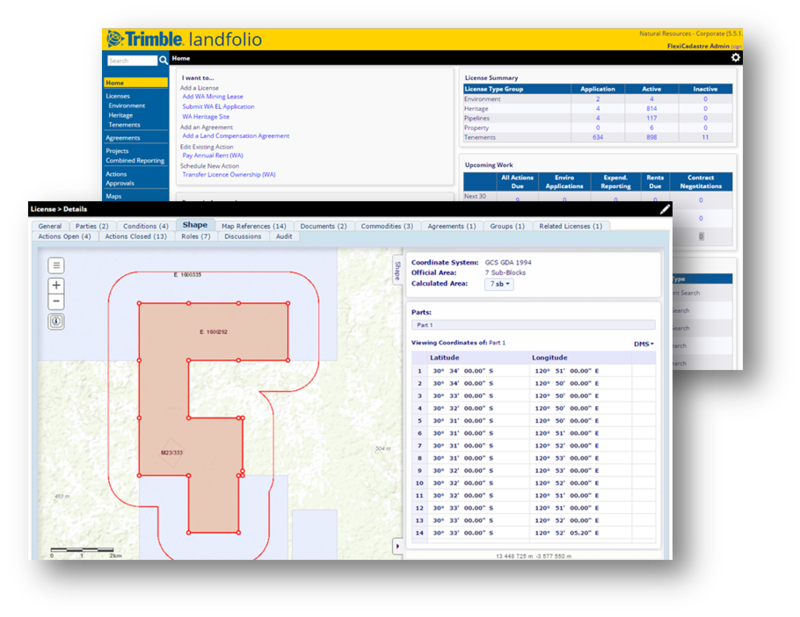 Trimble’s e-government solutions provide online public access to a region’s electronic land management or mineral rights management solution. e-Government solutions provide stakeholders with easy access to real estate transactions, mineral rights, and other land information. Stakeholders can also use these portal solutions to submit requested information such as applications, payments, documentation, etc. •	Map-based querying that can be as “open” or “controlled” as required based on restricted subscriptions and other password controlled and monitored technology. GIS analysis functionality in Landfolio puts the power of geographic information in the hands of decision makers. With analysis tools designed to complement other Landfolio data, GIS analysis in Landfolio incorporates non-spatial data into maps and provides geographic analytical capability where it has previously been absent. • Basic editing: Feature editing, attribute editing, sketching, etc. • Navigation: Zoom in/out, scale, pan, etc. • Map inquiry: Find features, identify features, plot points, archive layer filter, etc. Note: Trimble acquired Spatial Dimension on September 2, 2015. FlexiCadastre is now part of the Landfolio software suite.